Key West Phase. Offers Welcome! Known for its wealth of attractions, activities and sun-filled days, Orlando is certainly one of the world's most premier vacation destinations. 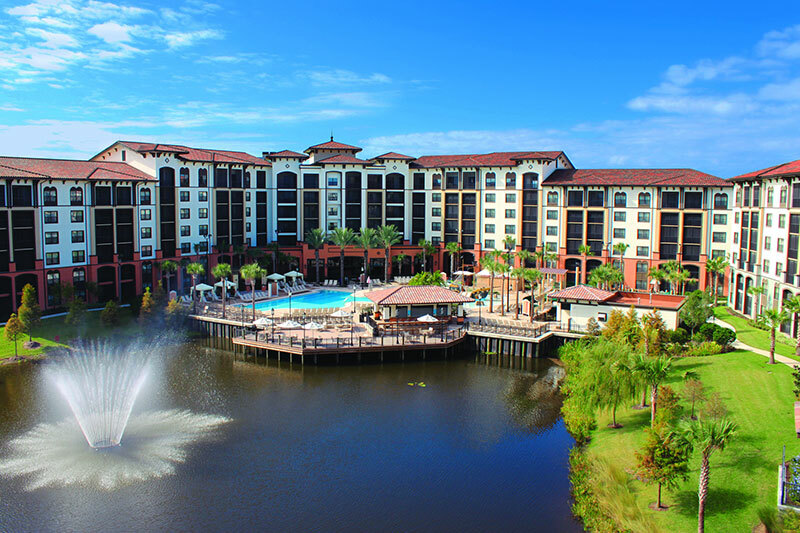 One of the best ways to experience Orlando is to buy a Sheraton Vistana Villages timeshare. Conveniently located on International Drive, Sheraton Vistana Villages are noted for their extraordinary features and provide guests with a truly memorable vacation experience. Investing in a Sheraton Vistana Villages fractional ownership will allow you to discover Orlando at your leisure and embrace the beauty of this remarkable city. Guests will be immediately drawn to the distinct beauty and ambience of Sheraton Vistana Villages timeshare resale. Situated amidst stately palm trees, the spacious outdoor area is ideal for refreshing dips in the pool, leisurely barbecues at sunset or a fun-filled afternoon at the water park. In addition, guests will experience exceptional services and amenities such as: a 24-hour fitness center, children’s pool, playground, massage treatments, concierge service, room service, laundry/dry cleaning services, free parking and currency exchange. When buying a Sheraton Vistana Villages timeshare, numerous options are available to best suit the needs of you and your family. Decorated with warm, rich tones and sophisticated decor, villas are available with one, two or three bedrooms and will comfortably accommodate between four and eight guests. Villas are completely furnished and feature fully-equipped kitchens or kitchenettes, luxurious bathrooms, dining areas and living rooms with sofa beds. Additional amenities include: TVs, DVD players, stereos with CD players, safes, desks, air conditioning, washers, dryers and tranquil views of the garden, lake or pool. Accommodations are also available for disabled guests. Open daily, Flagler Station Bar and Grill features a full breakfast, lunch and dinner menu. Specialties include juicy burgers, flavorful wraps and an assortment of decadent desserts. Open seasonally, the poolside bar serves a variety of refreshing beverages and cocktails. In addition to groceries, newspapers and souvenirs, Molly Square Market features Starbuck's coffee, pastries and breads for a delicious breakfast or snack. With Orlando's warm, mild climate, guests will have the opportunity to experience a wide variety of attractions and activities throughout the year. Although Orlando's rainy season lasts from June through September, afternoon thunderstorms are typically known to clear up quickly. Those who purchase a timeshare for sale at Sheraton Vistana Villages will enjoy easy access to numerous restaurants, malls, boutiques, spas, theatres, museums and festivals. Popular outdoor activities include: golfing, kayaking, jet skiing, fishing and boating. Guests will have the opportunity to experience well-known attractions such as: the Orlando Museum of Art, Orlando Science Center, Cypress Gardens Adventure Park, Cirque du Soleil La Nouba, SeaWorld Orlando, Universal Studios Orlando, Walt Disney World Resort, Kennedy Space Center, Daytona International Speedway and Discovery Cove. Premier Timeshare Resale can provide additional information on Sheraton Vistana Villages timeshare deals and resales. Our professional staff specializes in finding the perfect villa for you and your family. Premier Timeshare Resale will also assist clients who wish to sell their timeshare at Sheraton Vistana Villages.